Pera, R., & Viglia, G. (2015). Turning ideas into products: subjective well-being in co-creation. The Service Industries Journal, 35(7-8), 388-402. Viglia, G., Mauri, A., & Carricano, M. (2016). The exploration of hotel reference prices under dynamic pricing scenarios and different forms of competition. International Journal of Hospitality Management, 52, 46-55. 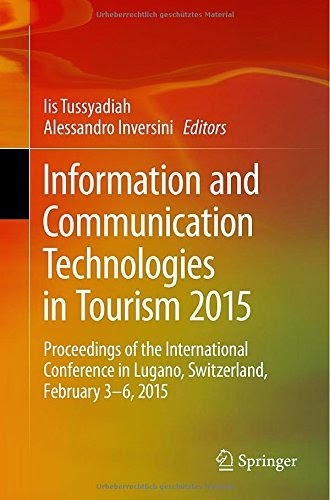 Neuhofer, B., Buhalis, D., Ladkin, A., 2015, Technology as a Catalyst of Change: Enablers and Barriers of the Tourist Experience and their Consequences, in Tussyadiah, I., and Inversini, A., (eds), ENTER 2015 Proceedings, Lugano, Springer-Verlag, Wien, ISBN:9783319143422, pp.789-802. Inversini, A., Sage, R., Williams, N., Buhalis, D., 2015, The Social Impact of Events in Social Media Conversation, in Tussyadiah, I., and Inversini, A., (eds), ENTER 2015 Proceedings, Lugano, Springer-Verlag, Wien, ISBN:9783319143422, pp. 283-294. 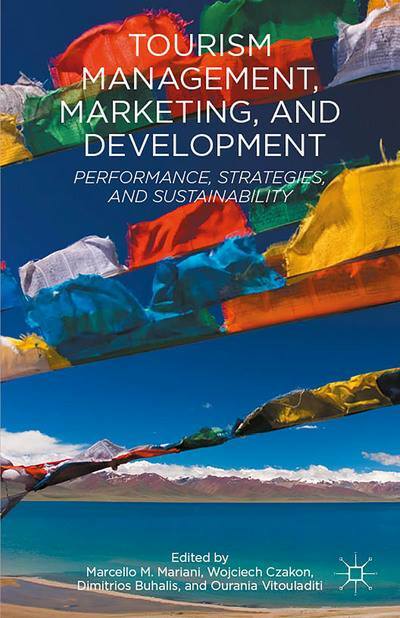 Boes, K., Buhalis, D., and Inversini, A., 2015, Conceptualising Smart Tourism Destination Dimensions, in Tussyadiah, I., and Inversini, A., (eds), ENTER 2015 Proceedings, Lugano, Springer-Verlag, Wien, ISBN:9783319143422, pp. 391-404.